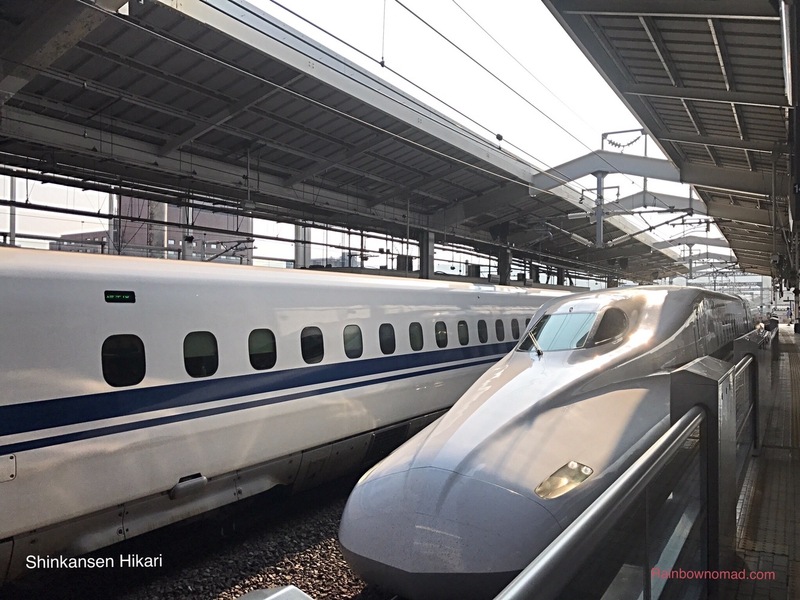 Our visit to Hiroshima was a given and another opportunity to ride the famous Shinkansen from Kyoto. 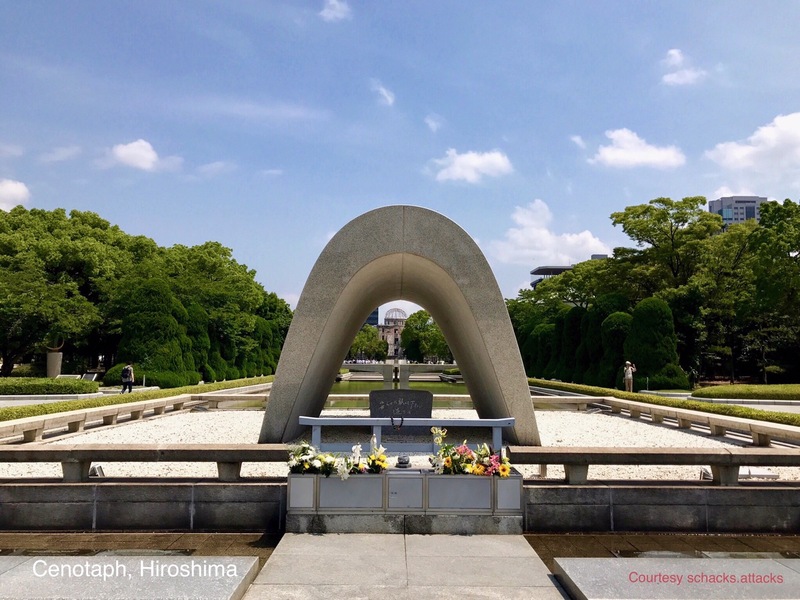 The events of 6th August 1945 at Hiroshima, which shocked the world have been carefully documented by Japanese historians so we never forget the terrible effects of an atomic bomb exploded over a city. 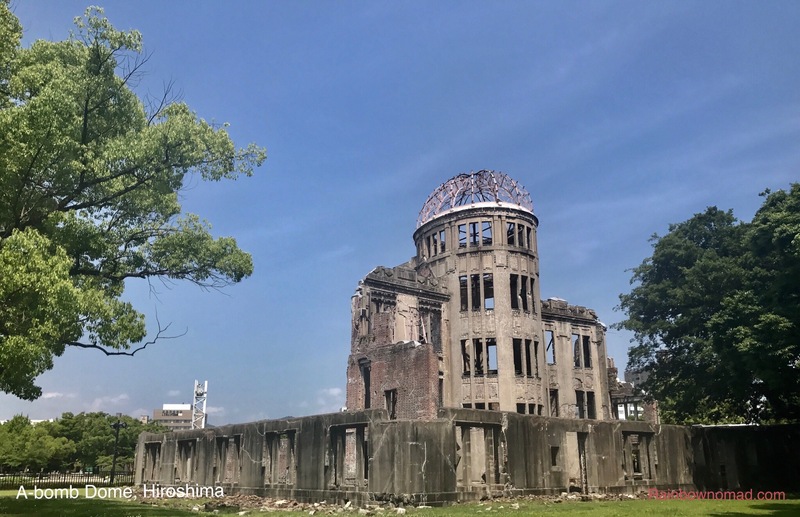 In the Hiroshima Peace Memorial Museum there is a diorama which shows the city in 1945, through the bomb sights of the B29 bomber Ebola Gay, as it hones in on Hiroshima and releases ‘Little Boy’. Little Boy contained 64kg of enriched uranium of which less than 1kg underwent nuclear fission. When the huge mushroom cloud which enveloped the city finally dispersed, the photo below shows utter devastation. Videoed documentaries from survivors told harrowing stories, such as the school boy, identifying the bomber as a B29 from the schoolroom window before being blinded by blazing light and flung under some desks. 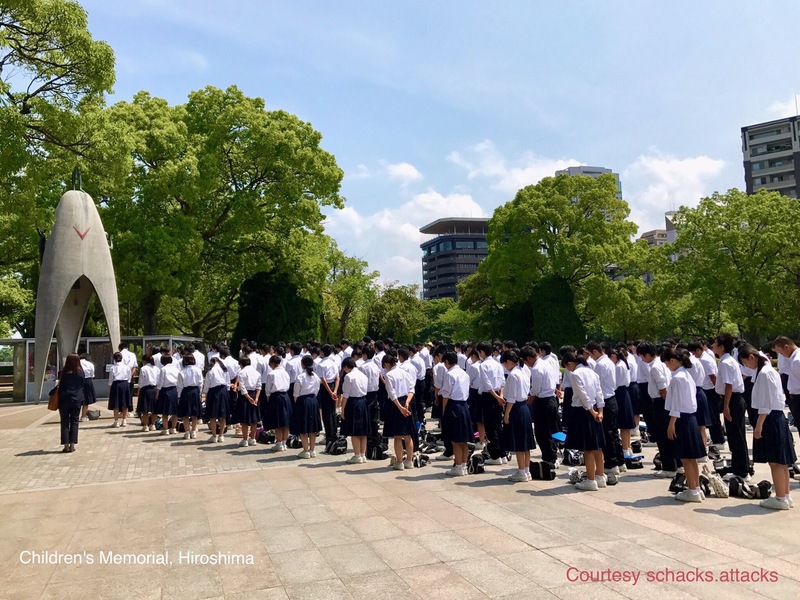 Only 10 of his classmates of 45 survived and they sang the school song, a signal of desperate hope that someone would find them, bleeding and burnt. 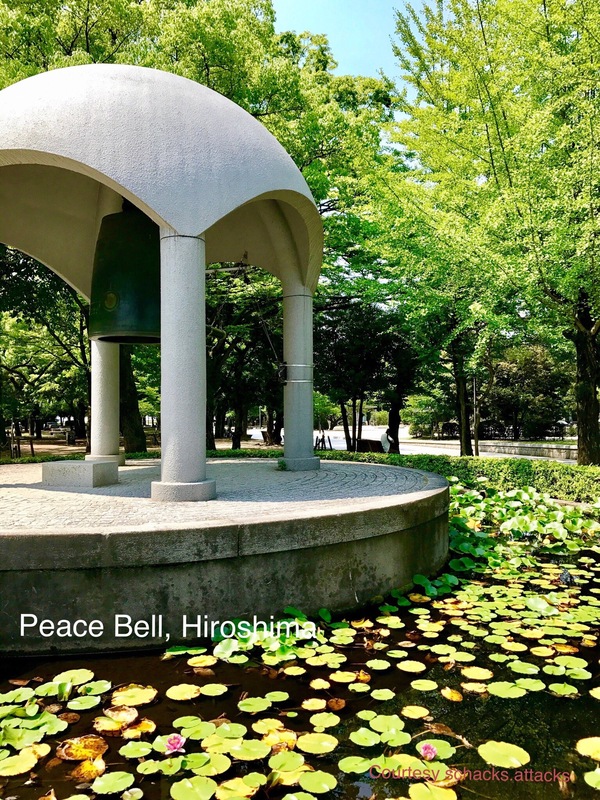 Earlier we had walked around the A-bomb Dome, across the T-shaped Aioi Bridge – the actual target of the bomb – to the Peace Memorial Park, past the Peace Bell, the Children’s Memorial and the Cenotaph. 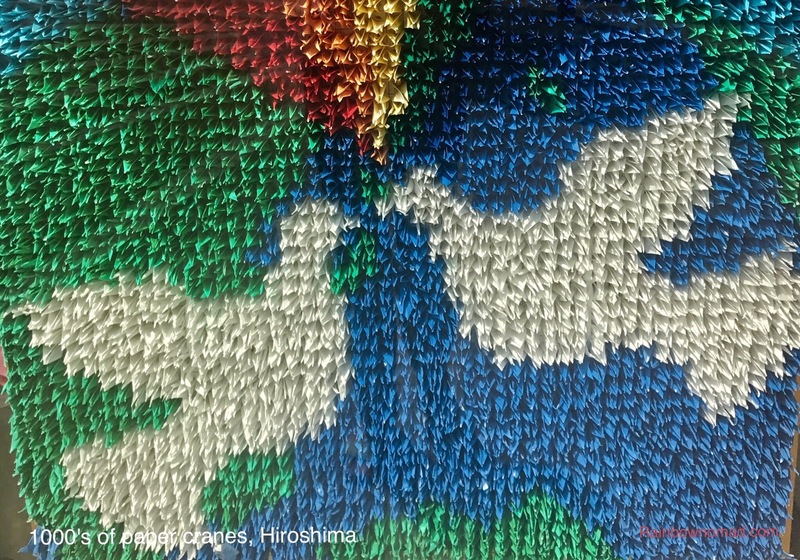 At the Children’s Memorial 1000’s of paper cranes are displayed in memory of Sedako Sensaki, who was 2 years old when the bomb was dropped but subsequently developed leukaemia about 10 years later and in the nine months prior to her death, folded 1000 paper cranes in hope of survival. A school group arrived at the memorial while we were there and stood for a minute’s silence, before 2 young girls read out a prayer. It was very moving. Ironically, it was Einstein and Szilard, Jewish scientists who had fled the Holocaust in Europe, who convinced Roosevelt, the US President, that the A-bomb was possible, although they were horrified by its ultimate use. And it was almost a lottery where it would be dropped and whether the target should be Japan or Germany and having decided on Japan, which city. Ultimately, it was a demonstration of America’s superiority in the arms race against Soviet Union. And depressingly, the arms race continues. 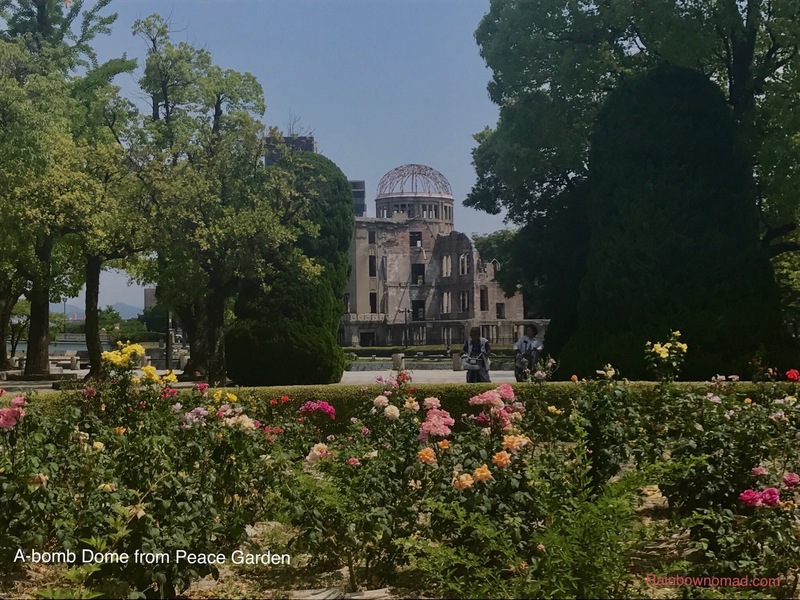 It’s not often we Westerners are confronted with the human cost of war and this memorial park and museum with its calm serenity and testimonies allowed us to absorb the horror visually. Somehow, it had more impact than the flood of current news stories we hear of continuing war and casualties. 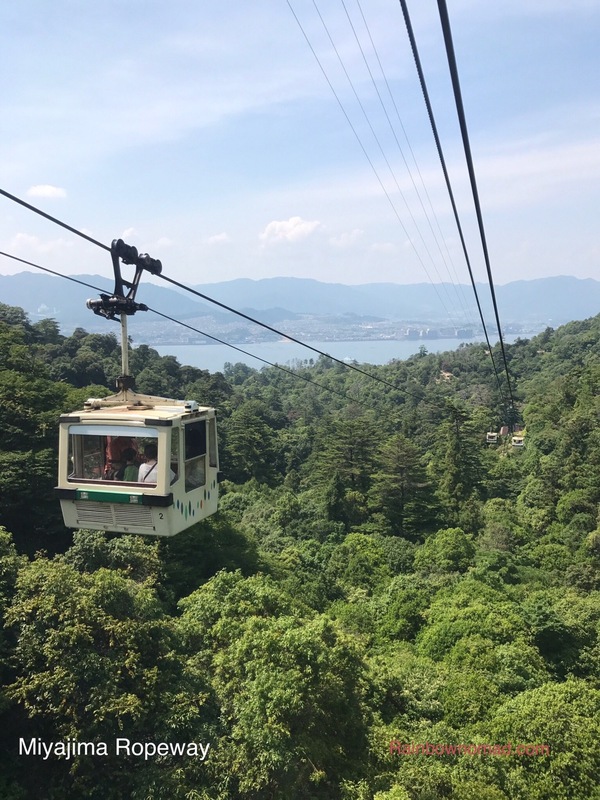 Our journey continued on to the island of Miyajima. By early afternoon, the temperature had risen into the 30’s and the humidity was high. Miyajima, established from the 6th century, was a sacred island which could only be approached by boat and through the Itsukushima-jinja Torii or shrine gate and is now a UNESCO World Heritage site. The sacred mountain Misen can be scaled by foot or by two different rope ways. As we were on a day trip from Kyoto, we opted for the rope way. Floating high above the forest, the bay and islands below shimmered in the heat haze. 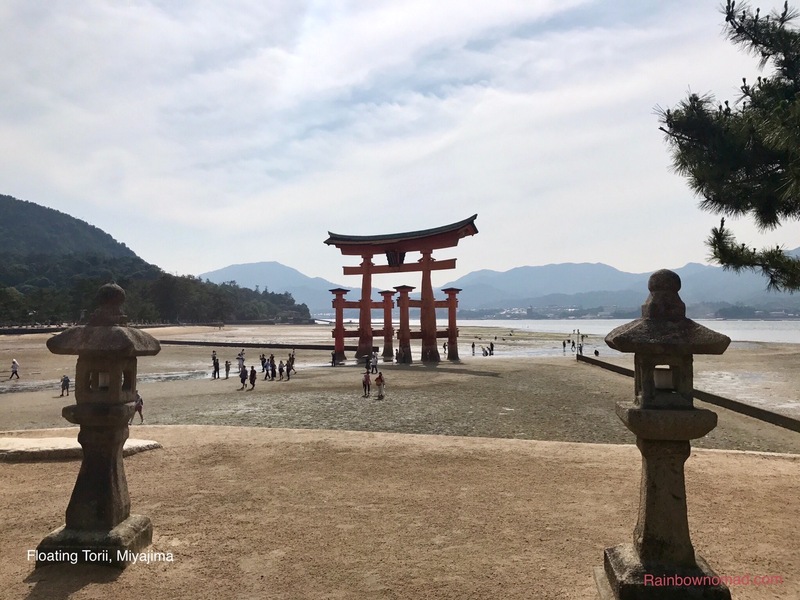 The Torii, meant to be one of the three top sites in Japan when seen at high tide, was stranded in the mud flats at low tide as we descended back to Miyajima but nonetheless was still a spectacular sight. We meandered back to the ferry eating some wonderful Italian gelati from Baccano Gelateria to cool us down.